Monumental News, April, 1922, Vol. 34. 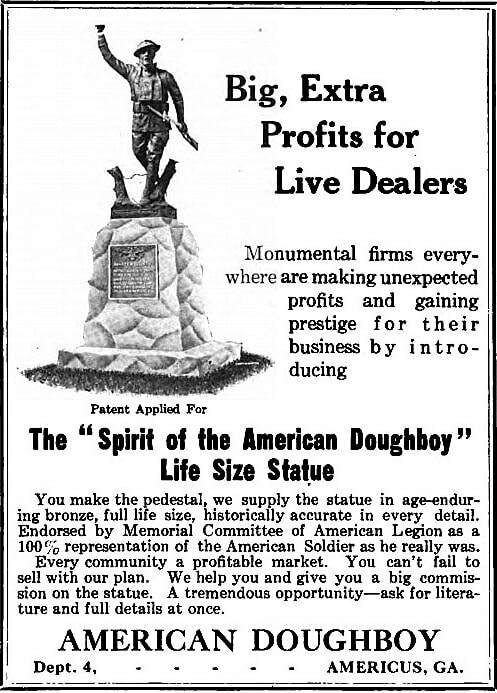 Viquesney's ads for his original large statue memorial frequently appeared in trade magazines like The Monumental News and also in fliers and and handbills. 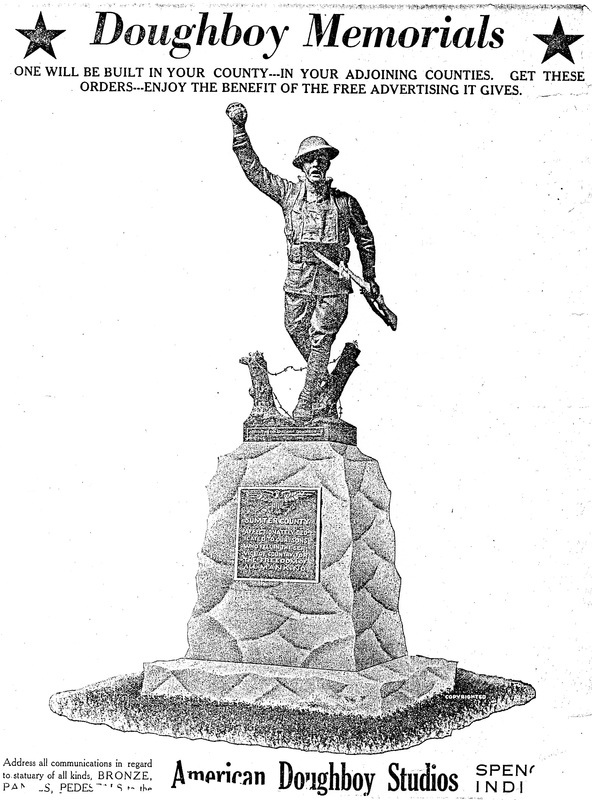 The illustration above shows the elaborate pedestal design originally proposed for Americus, Georgia. It was scrapped in favor of the simpler base shown in the other two ads.